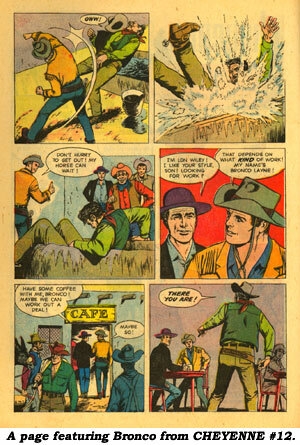 Dell Comics practically cornered the market with the movie cowboys, and did even more so with the TV cowboys. Nearly every western that hit the air saw at least one or two issues published by Dell. 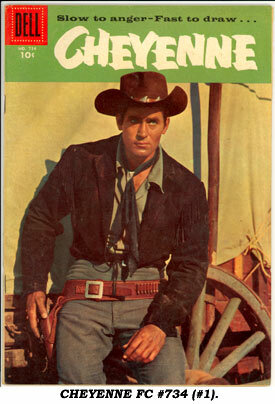 The more popular shows realized a whole series, such as Clint Walker’s “Cheyenne” did for 25 issues between ‘56 and ‘61. 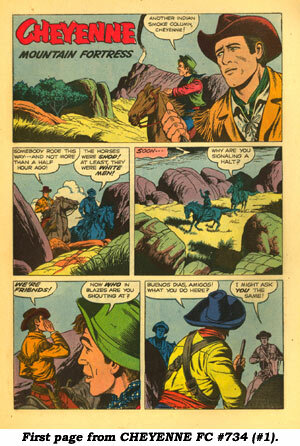 Dell’s first CHEYENNE comic was Four Color #734 in October ‘56, about a year after the ABC TV series had begun. Four Color #772 came out in March ‘57 with Four Color #803 issued in May ‘57. Sales were excellent, so Dell began regular numbering on CHEYENNE with #4 for August-October ‘57. #14 through the last issue, #25 (Dec. ‘61- Jan. ‘62). 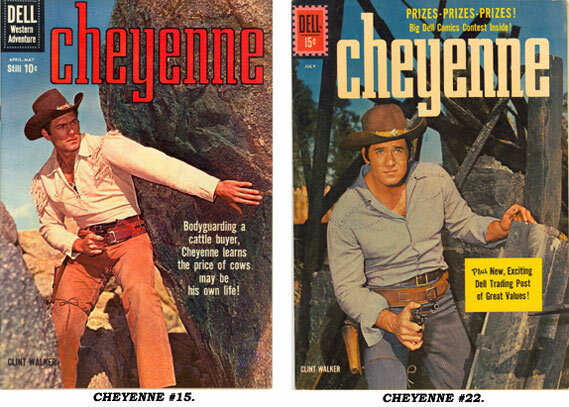 Every issue featured a photo cover of Clint Walker with inside front cover b/w photos from the series lasting through #7.
him on “Cheyenne” as Bronco Layne. 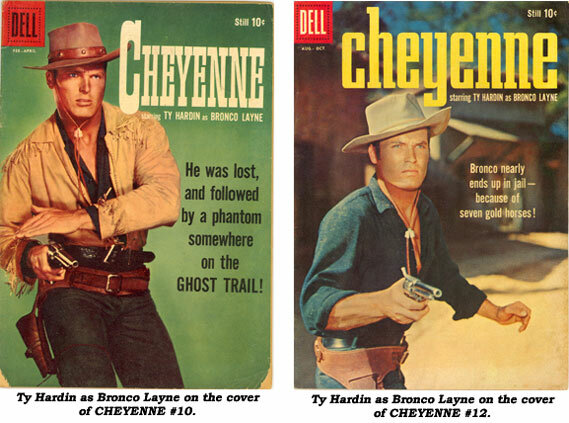 Dell followed suit with Bronco appearing on the cover and in stories for CHEYENNE #10-12. 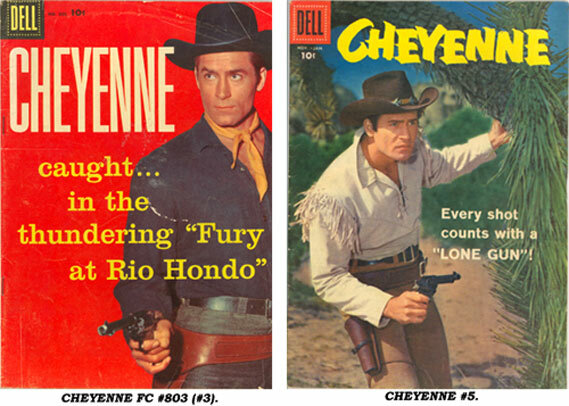 Too bad when Clint returned to “Cheyenne”, and the comics, that Dell didn’t switch Ty’s “Bronco” over to his own comic book. Much of the artwork in CHEYENNE was by Tom Gill (1913-2005) with many stories from the prolific Paul Newman (1924-1949). Copies of CHEYENNE are still reasonably priced, but with the popularity of the show are sure to increase. FC #734 (#1) brings around $45 in Fine with FC #772 (#2) through #25 coming in at $20-$30 in Fine Condition.